And one by one, the widows of Lyttlefield Park are getting restless . . .
Lady Charlotte Cavendish is still the spirited girl who tried to elope in the name of love. That dream was thwarted by her father who trapped her into a loveless, passionless marriage. 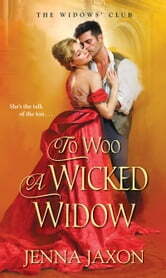 But now widowed, Charlotte is free to reenter the giddy world of the ton—and pursue her desires. For hardly your typical widow, she remains innocent to the pleasures of the flesh. Yet her life is finally her own, and she intends to keep it that way . . .
Nash, the twelfth Earl of Wrotham, is beguiled by Charlotte at first sight—and the feeling is mutual. When he receives her intriguing invitation to a house party, the marriage-minded lord plans to further their acquaintance. But even he cannot sway her aversion to matrimony, and only with great restraint does he resist her most tempting offer. For unbeknownst to Charlotte, the misadventures of the past are revisiting them both, and bedding her could cost him everything—or give him everything he ever wanted . . . I love the start of a new series and this one really caught my attention. Widow's forming a club? Well yes and a great idea during this time period! Lady Charlotte Cavendish has paid her price of a forced marriage by her father and is determined to enjoy herself now that she is widowed. Forming a club with other widows has enabled them all to meet with men of their interest and purse marriage or anything else they might desire. Charlotte is not looking to be wed, but the man she meets, Nash, the Earl of Wrotham wants to settle down. Sparks fly between the two but Charlotte is very stubborn. I really could have shaken her because Nash was really very likable. Misunderstandings, suspense and some outside forces drive this story forward. Jenna Jaxon pulls you into the story with her wonderful descriptions and characters that seem real. Will Charlotte give in and marry Nash or stay determined to just enjoy herself without marriage? I cannot wait to read the next story in this series. With the descriptions of the other widows it has to be a lot of fun! 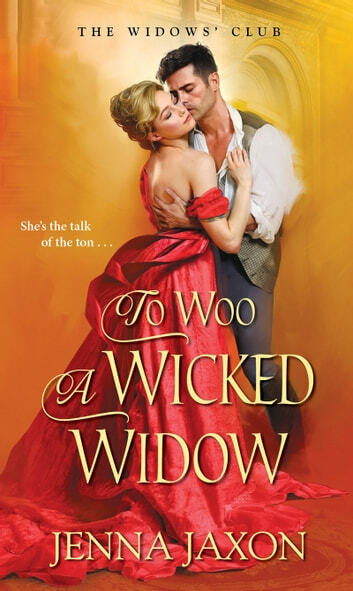 To Woo a Wicked Widow by Jenna Jaxon is the First book in The Widow's Club. This is the story of Charlotte and Nash. Charlotte had didn't have an easy life. When she was caught trying to elope with a man below her station her father forced her to marry an older man. Now her husband is dead and the year of morning is over and Charlotte wishes to find the fun in life. Nash just came into his title and wants to move forward with settling down and thinks that Charlotte would be the perfect one. But Charlotte isn't looking for marriage and Nash begins to hear things that might not make her the perfect wife. Can these two find that they are both what each need?